The PlayStation Portable is a handheld console manufactured and marketed by Sony Corporation Development of the console was announced during E3 2003, and it was unveiled on May 11, 2004 at a Sony press conference before E3 2004. The system was released in Japan on December 12, 2004, in North America on March 24, 2005, and in the PAL region on September 1, 2005. 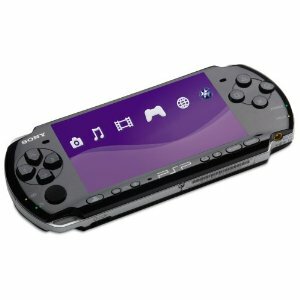 Sales of the PSP have lagged behind its main competitor, the Nintendo DS. Nevertheless, the console is "the most successful non-Nintendo handheld game system ever sold". After the release of a remodeled, slimmer, and lighter version of the PlayStation Portable, titled Slim & Lite, in early September 2007, sales quadrupled in the United Kingdom the following week and increased by nearly 200% in North America for the month of October. The Brite had a minor redesign including a new screen and inbuilt microphone, and has since been followed by the PSP Go.